When we last tested a Toyota Corolla, we found it slow and outdated. It wasn’t a bad car, though. Just badly in need of a redesign. Well, the long-awaited redesign is finally here, and we have to say, we like what we see. If you’re interested in the 2020 Toyota Corolla when it goes on sale next spring, here’s what you need to know. 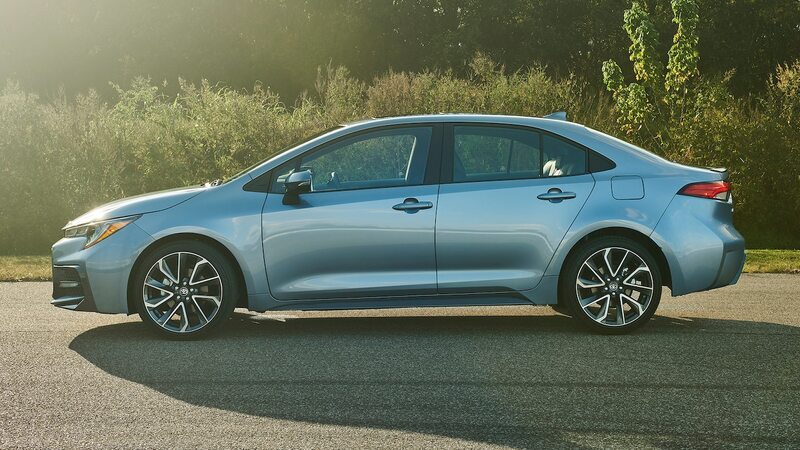 While cars tend to get bigger with each redesign, Toyota chose to keep the new Corolla’s wheelbase the same at 106.3 inches. 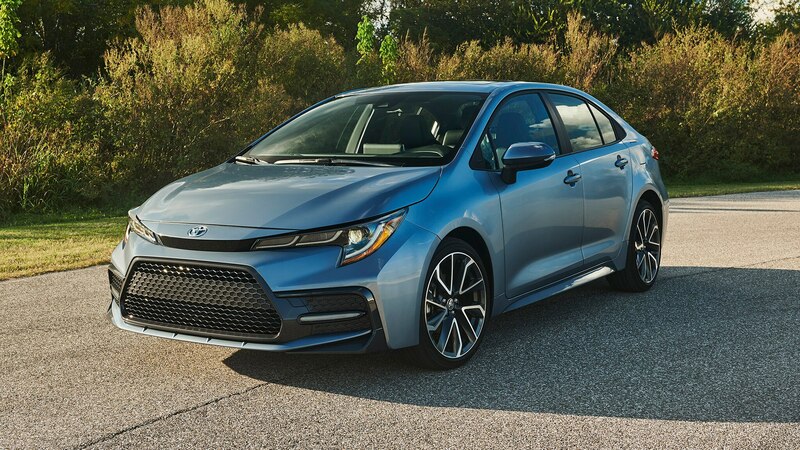 The engineering team widened the track to improve handling, but the roof is 0.8 inch lower than it is on the outgoing Corolla, the front overhang is 1.3 inches shorter, and the center of gravity is now 0.4 inch lower. The 2020 Corolla’s roofline may be lower, but Toyota promises there’s still plenty of headroom. 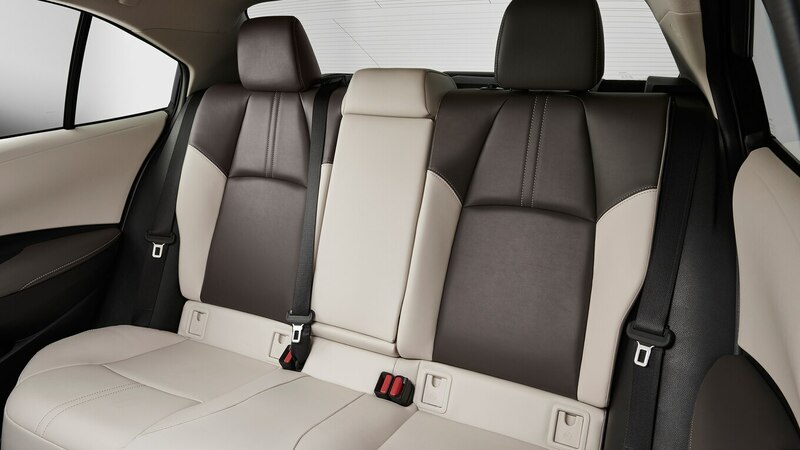 Expect a front seat with an improved driving position and a spacious rear seat with more than enough legroom for passengers. 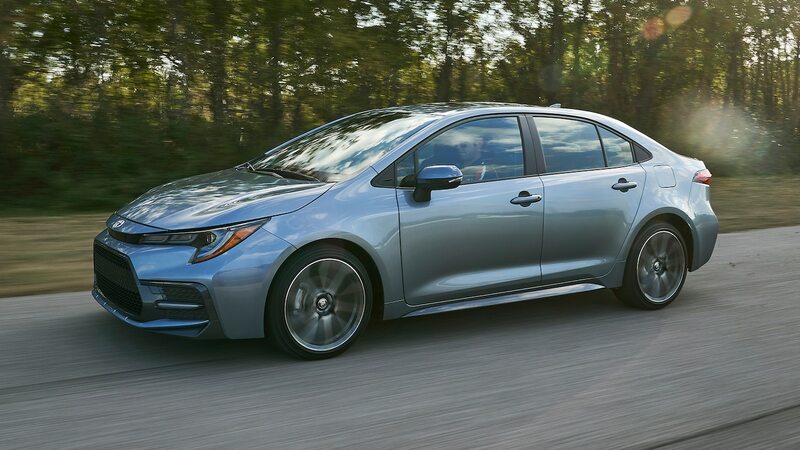 The current Corolla’s 1.8-liter I-4 only makes 132 hp and 128 lb-ft of torque, which makes it one of the slowest, least powerful cars in the segment. For 2020, the Corolla gets a 2.0-liter four-cylinder good for 169 hp and 151 lb-ft of torque. That’s 1 hp more than the same engine in the Corolla hatch. We don’t have many details at the moment, but Toyota says it plans to introduce a hybrid version of the new Corolla. Based on Toyota’s history with hybrids, expect the Corolla Hybrid to be the quickest version, as well as the most fuel-efficient. 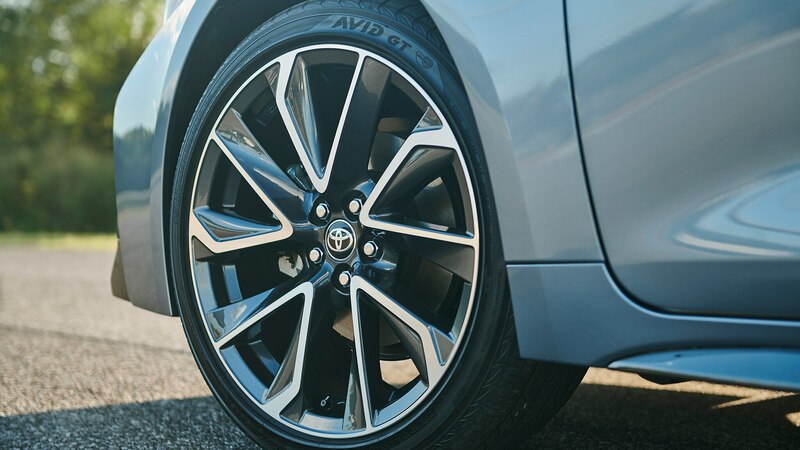 Base Corollas may get 16-inch steel wheels with hubcaps, but for the first time ever, you’ll be able to order yours with 18-inch wheels. They’re standard on SE and XSE trims, while the XLE gets 16-inch alloy wheels. 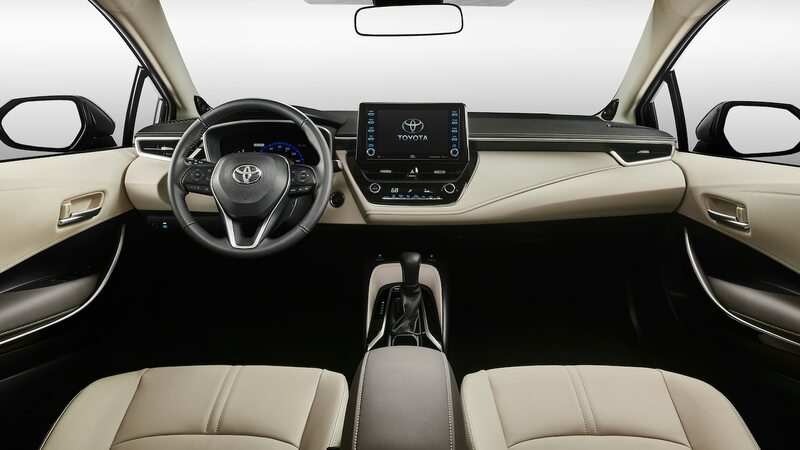 Most Corollas will come with a continuously variable transmission that uses a launch gear to take off from a stop more smoothly. 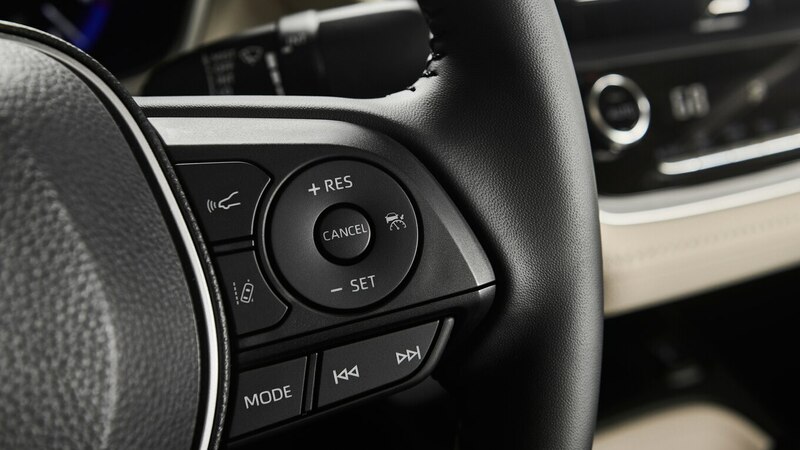 But drivers who prefer to shift their own gears haven’t been left out. 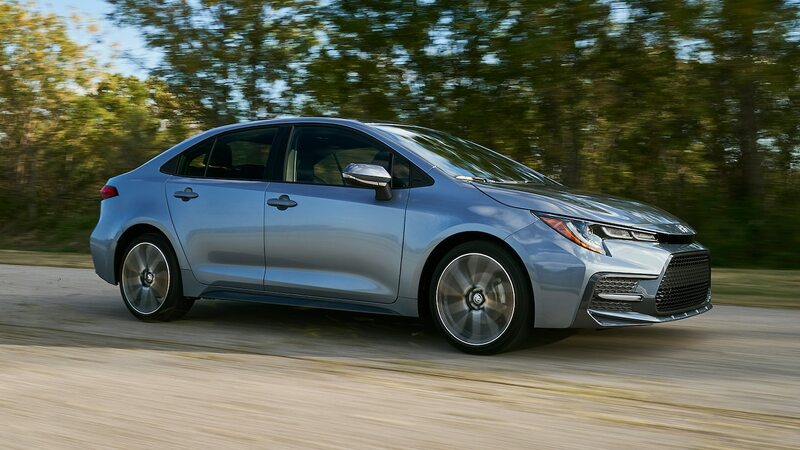 Toyota will also offer the Corolla with an optional six-speed manual transmission. 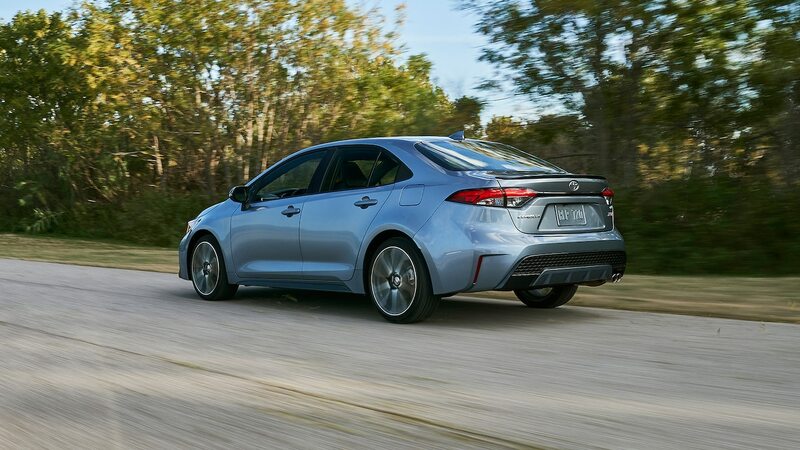 Toyota says it worked hard to make sure the 2020 Corolla was as quiet as possible, using several sound-absorbing materials to minimize powertrain and road noise. In addition to using thicker insulation and better seals, the engine is said to run quieter, as well. In addition to eight airbags, stability control, traction control, and anti-lock brakes, the 2020 Corolla comes with several more advanced safety features. That includes automatic emergency braking and lane departure alert. 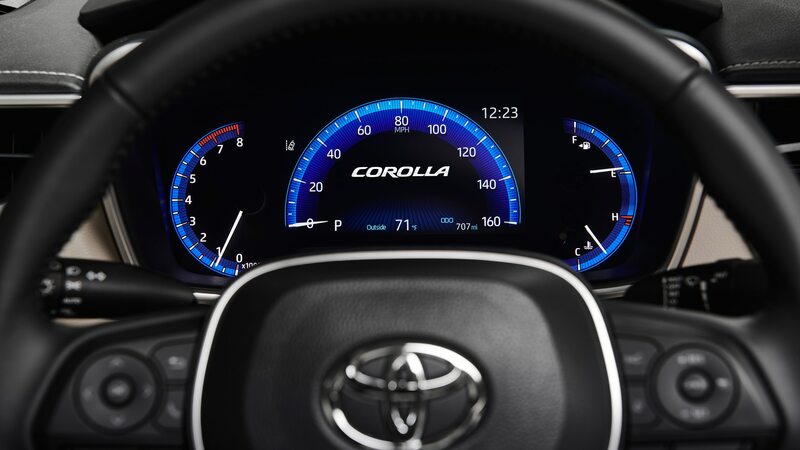 Toyota also made adaptive cruise control with lane-centering steering assist standard on the new Corolla. Technically, it’s considered a safety feature, but it should make highway driving much more relaxing, too. 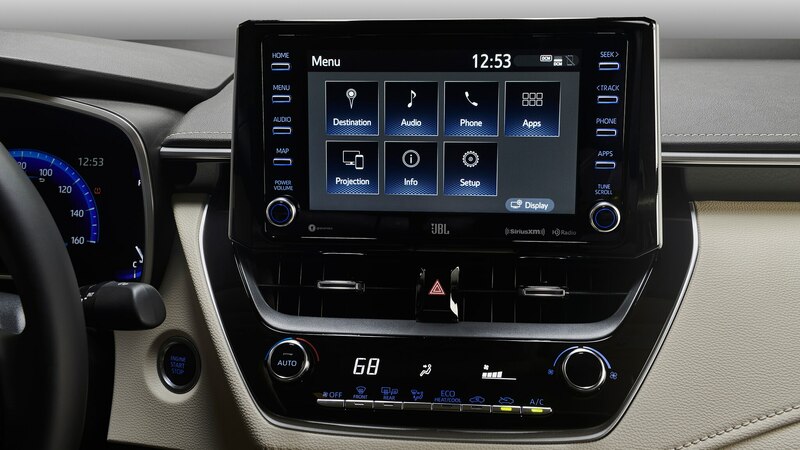 The new Corolla gets a 7.0-inch touchscreen (an 8.0-inch unit is optional) with Toyota’s latest infotainment system, Apple CarPlay support, Amazon Alexa integration, multiple USB ports, and available in-car WiFi. Higher trims also come with a nine-speaker, 800-watt JBL audio system. 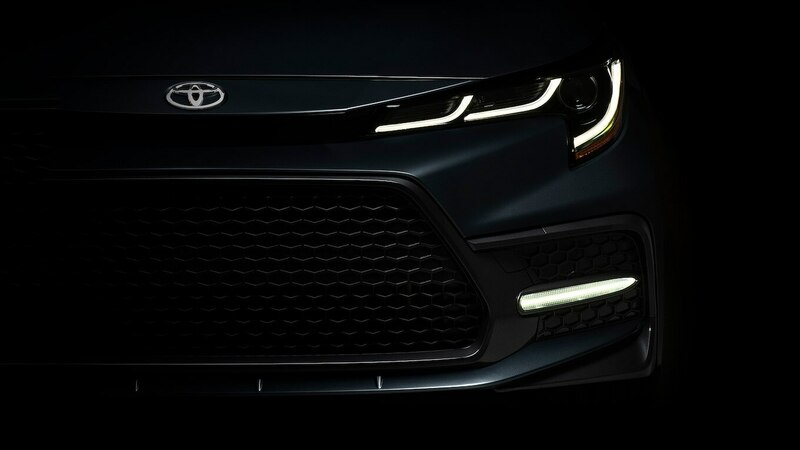 Stay tuned for more details about the all-new Corolla when it rolls into the Los Angeles auto show later this month. 2020 Toyota Corolla Sedan: It’s Much Better! Toyota jumps back into the fray with a redesigned version of its long-running compact icon.